Capture the story of your unique setting through distinctive giftware crafted in glass, ceramics and high quality prints. I will work with you to create bespoke giftware and marketing materials showcasing the special characteristics of your architecture and landscapes. I work with clients drawing anything from individual buildings to whole towns and bring them to life in a range of affordable merchandise. Barnsley is a large industrial ex-mining town situated in West Yorkshire. 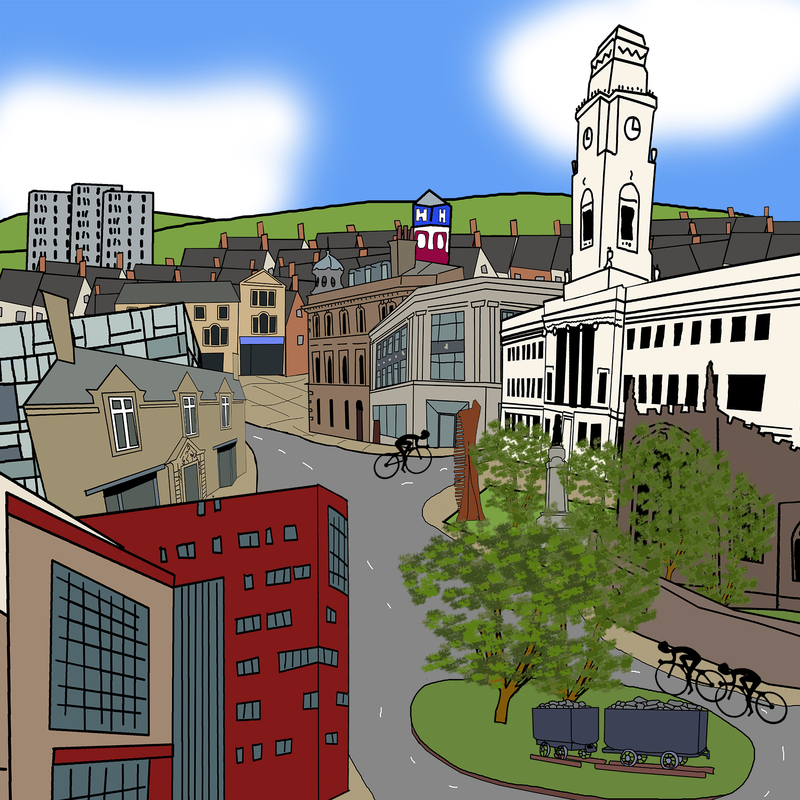 I was commissioned by Barnsley Museums to create a drawing of Barnsley centre. This image features the Cooper Gallery, St Mary’s Church and the Town Hall amongst its older buildings and newer buildings like Barnsley College and the Civic Theatre. 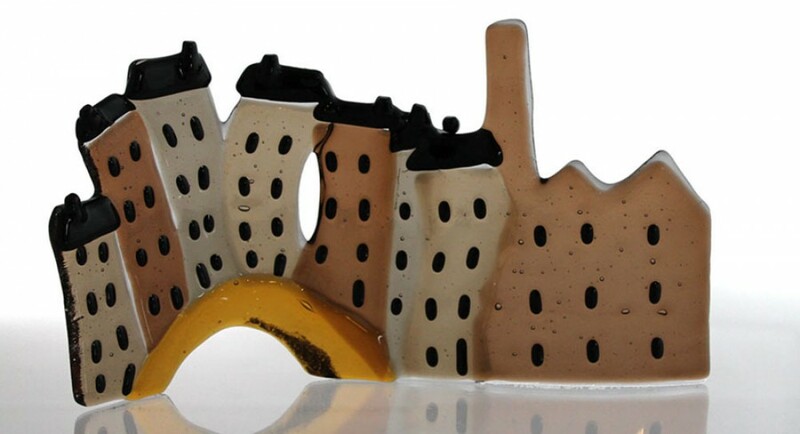 It is available from Barnsley Museums as handmade glass coasters, greeting cards and postcards. Home to the Leeds School of Medicine since 1831 this pre-war building was described thus “if God did exist I imagine him looking like this building” by Damien Hurst BBC 1966 . I was commissioned to create a drawing of this building and create corporate gifts of prints, boxed coasters and greeting cards.